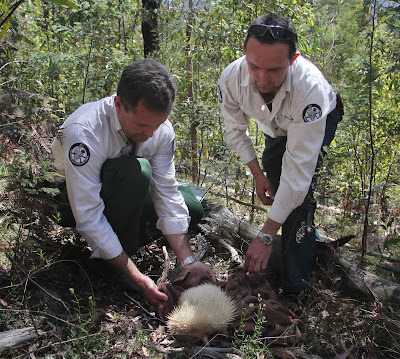 Last week RSPCA ACT was lucky enough to take part in the release of a beautiful albino echidna that had been in our care. 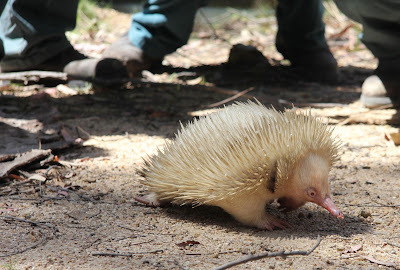 Affectionately nicknamed ‘Casper’ was found near an extremely busy road, so we sought permission to release him at Tidbinbilla Nature Reserve—a much safer environment. 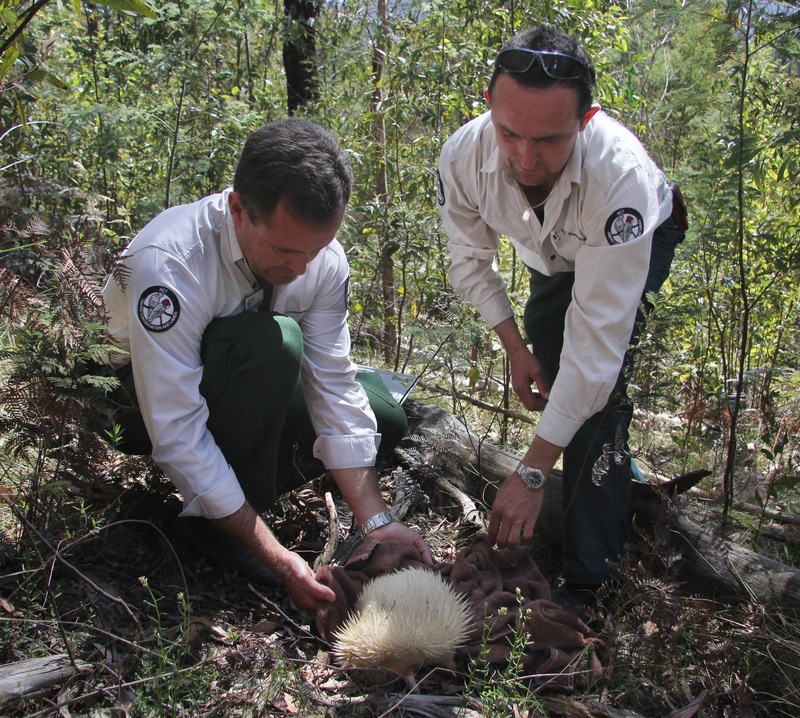 RSPCA ACT wishes to thank ACT government rangers, staff at TAMS as well as staff at Tidbinbilla for facilitating the successful release of this beautiful creature. Echidnas can live for up to 50 years in the wild, so we wish this little fellow a long and happy life! Read more about Casper before his release here, and after his release here. Watch the Win Television news segment here. Casper is but one of 3,000 native animals we care for each year in the nation’s capital. If you would like to assist us with our life saving work protecting and rehabilitating animals such as Casper please donate today.